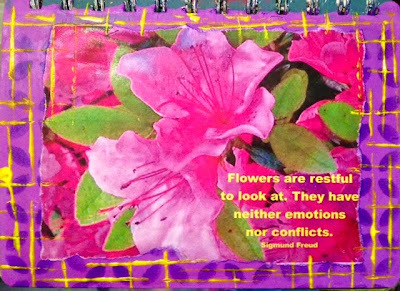 The most amazing things about this art journal page is that the flower grew in my yard and I took the photo. I am a plant killer. I don't mean to kill them but I forget to water them or I sit something on top of them or they see me coming and just keel over. You get the idea, right? When I bought my house it had lovely plants out front. Now all I have is spring buttercups that live through snow and drought, two pitiful tulips and one Azalea bush. This year the Azalea bush is beautiful. I took picture with my Iphone 5. The camera on the phone is wonderful!! This is a 90% digital page. 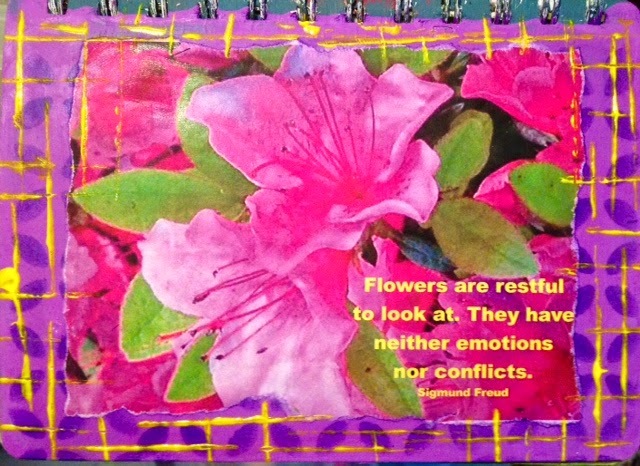 The flower & words I edited in MS Publisher. The background is craft paint and a WalMart stencil. The yellow lines are made with the edge of a credit card. I am linking to Journal 52. The theme this week is Observation and I thought the fact that I noticed my Azelea bush blooming counted as observing. 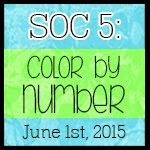 I'm also linking to The Rubber Dance Color Challenge. The colors this month are pink, purple and yellow.... some of my favorite colors. Wonderful vivid colors...you background perfectly complements your gorgeous flowers. Thank you. The Azaleas are lovely this year. LOVE!!! 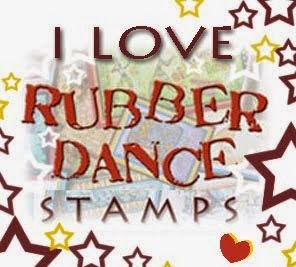 Thanks for joining our challenge over at Rubber Dance! Hugs, Susanne.